So I finally took the plunge into the world of tablets and got myself an iPad 2, and very nice it is too. Now those people who know me (and know exactly how many Apple gadgets I have) could be forgiven for thinking I just went for the Apple on autopilot… and nothing could be further from the truth. Apple’s original iPad was clearly a very clever bit of kit but when I picked one up to try it never “spoke” to me. It neither solved an obvious problem or did anything for me on an emotional level (by which I mean that yeah I’m a geek, and geeks love new toys), but clearly this heralded the start of a new direction for mobile computing, so I was always very interested in seeing the ‘next generation’, both from Apple and from major competitors. I should note at this point that there are a whole bunch of cheap tablets out there, invariably running assorted versions of Android and invariably sucking – not because of anything wrong with Android per se, but because too many vendors rushed half-baked hardware to market, with a thin veneer of half baked software over the top to cover the problems with both their hardware and the fact that they’re stretching phone versions of Android in directions they were never meant to go. When I talk about major competitors to the iPad, I’m not including these as it’s unfair to Google/Android to talk about Android’s suitability as a tablet based on those devices and its unfair on both me as a writer and you as a reader to have to wade through that nonsense. Lets face it, I’ve already spent 2 paragraphs telling you why I’m not writing about them. Before going for the iPad 2, I looked very hard at the Galaxy Tab, the Xoom, and (though I didn’t get to try one myself) the Blackberry Playbook, and countless numbers of the cheap “half baked” android tablets that I mentioned above. The Playbook is my biggest disappointment. RIM probably have the most experience in making useful mobile devices yet they seem to think that a tablet without a proper native email and contacts system is actually worth bringing to market. Let’s be clear here: A tablet that ties into another device in the product family to do something extra and cool/useful between them is useful. A tablet that lacks a basic feature unless tied into another device is pitiful and absurd. I could go on, but frankly I don’t think I need to. I will leave you with this thought: John Gruber has his doubts that RIM can build a great tablet for business. God knows I agree with his list of flaws. But I think that RIM can build a great tablet, but for whatever reason they simply chose to release an unfinished and unfocused mess instead. There’s an argument to be made that this falls into the group of “half-assed” Android tablets that I mentioned earlier. Google have said themselves that the version of Android used in the Tab isn’t suitable for tablets and to wait for Android 3.0, and the Tab is running 2.x. I will give this the benefit of the doubt however because I think there was an attempt here to build something good rather than just chuck rubbish into the market. I have to say that whenever I used this tablet I didn’t see much of a problem with the software – maybe it wasn’t optimised for the tablet space but it worked well enough from where I sat. Ultimately though the best things you can say about this device are that its well made, (now) keenly priced and has a decent amount of applications available for it. So all in all, its actually quite good. It’s problem is less within itself and more to do with the fact that everything else around it has evolved and it hasn’t. If I got myself one of these I have no confidence that I’ll ever be able to run Android 3.0 on it. The Xoom has two things that every other Android tablet I’ve looked at up to now does not have: People who actually want to look at it and crowd round demo units in shops, and Android 3.0. Sure, I know 3.0 is “coming soon” in other devices but if you are real into your Android systems then right now the Xoom is where it is at. A microSD card slot that doesn’t work. “Real soon now, honest” doesn’t butter my corn, always buy computer hardware for what it can do today, not what it might do tomorrow. Dodgy flash support. Given what a big deal was made of the “fact” that the Xoom would supposedly support this out of the box and that this would be one in the eye for Apple, you have to score this as a big fat fail. No physical buttons for controlling the OS. This may sound trivial but I think that users like having a physical button they can press which over-rides whatever their device is doing. It reminds both them and the device precisely who is in control. Having said all that, the Xoom is the only other tablet I’ve seen so far that rivals the original iPad (if I had to choose between them, I’d have got the Xoom) let alone the new iPad 2. This sounds like I am damning the Xoom with faint praise, and I suppose I am, but this is the only other tablet besides the iPad 2 that I would consider owning right now. It felt good to use both one and two handed. It felt perfectly reasonable to type on. The built in apps felt good – the music player especially was very nice when compared to other Android tablets. When I was shopping around for tablet prices, I already mentioned how the Xoom was the only tablet besides the iPad that had people clamouring to try it in the shops – well I saw a family actually trying and buying a Xoom and it really did seem a hit with the parents and both their kids, who were very excited by it. 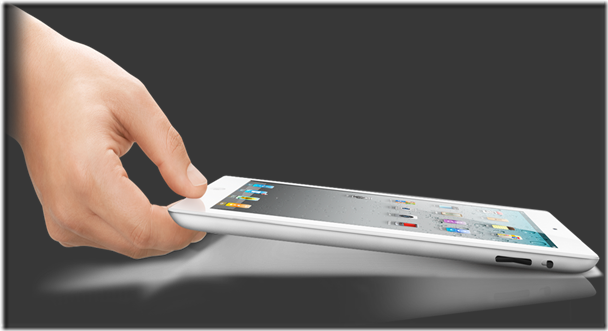 If you want a tablet but don’t like Apple then you will be very happy with a Xoom, really. Apple have a extreme attention to detail. If there is one thing that exemplifies Apple’s approach to hardware and software it is this attention to detail. It ensures that most Apple releases are incremental improvements over what went before, evolution far more than revolution. This is is continued with the iPad 2 when compared to the iPad. More processor and graphics power. More memory. Hardware that is both slightly lighter and slightly thinner. These small things matter. The weight and thinness (well mostly the greatly improved edge taper, really) make this tablet noticeably easier to hold for longer periods of time compared to the original. These are the sorts of differences that you probably shrug your shoulders over if you see them in a list, but when you pick them up it makes sense. Where the original iPad left me unmoved, the new iPad feels so much more pleasant to hold and use. Typing feels quite decent on the iPad 2. Not quite enough that I’m writing this article from there just yet, but give it time. The improvements to the internal hardware specs also make a difference to how the device behaves – I wouldn’t call the last one slow, but this is clearly much more capable. Application support for the iPad is second-to-none at the moment. Not just the number of apps available but the variety and the power of some of them. Tools such as Dropbox, Evernote, Twitteriffic and Adobe Ideas make this a top notch research assistant, alongside native apps from a lot of major news sources. I could go on about iMovie and Garageband but plenty of other people have done them more justice than I could. I could talk about games like Infinity Blade, but again better games reviews than I have gone there already. The point is that whether you’re a businessman who might like to read a book on the kindle app or play angry birds to relax, or someone who likes to do a lot of fun hobbies but has to do the odd bit of serious stuff too, the iPad has a combination of Apps that probably has you covered. “There’s an app for that” – not just a tagline but a statement of intent. Next So what has happened at Sony?